After relying on whisky distilled by Allied and Seagram, Glendronach and Benriach added single malts distilled by Billy Walker's regime to the regular range......less than one year before Walker sold off the distilleries to Brown Forman. I was very impressed by GlenDronach 8 yo 'The Heilan'. I was not very impressed by GlenDronach NAS Peated. 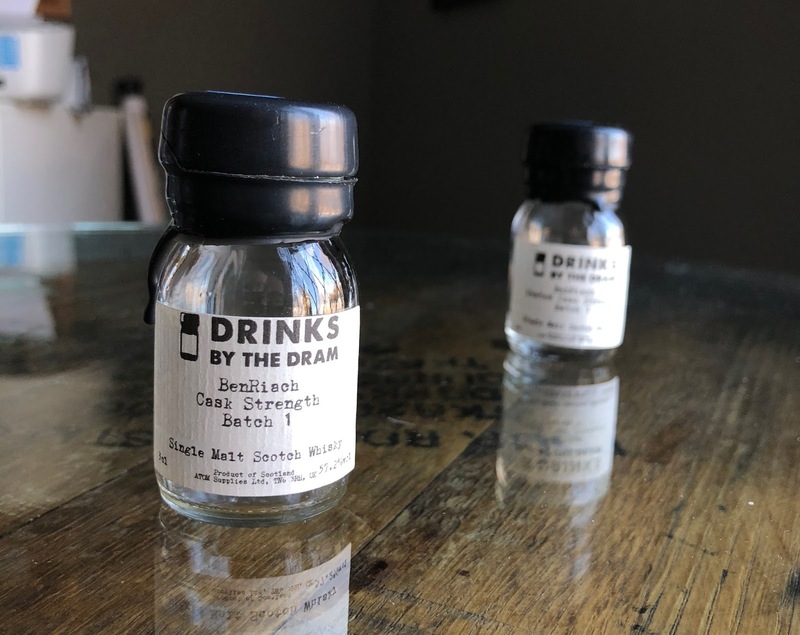 Two separate Benriach cask strength releases — regular and peated — appeared mere weeks before the big sale. I'll be reviewing the regular CS, batch 1, today. Serge and Ruben liked this CS, yet both included the qualifying 'modern' descriptor. Meanwhile, the whiskybase community liked it less. SPOILER ALERT: IMO, even whiskybase was being generous. The color is medium gold, much darker than the peated CS. Lots and lots of green apples on the nose. Honey, hay, vanilla cookies. Hints of anise and cantaloupe. Not much burn. Sooooo much burn on the palate, though. Hot cinnamon, vanilla, barley, brown sugar, caramel and acidic citrus. But mostly heat......and more heat in the finish. Vanilla and brown sugar. Acidic and tart. The fruit intensifies in the nose. There's more caramel and fudge. Slightly floral. The palate remains hot. More herbs. More vanilla. Peppery and bitter. It finishes sweet, acidic and bitter. Vanilla, again. A cheerful nose. Mint and fruit candy. Lime lollipops. Vanilla and barley. Even at this abv, the palate remains hot. Hints of lemons and sugar. Vanilla and black pepper. The finish still sweet, acidic, bitter and full of vanilla. The nose is good. The palate is not. Simple as that. The heat rarely shows in the sniffer, but the mouth is much too hot even after I went Full Ralfy with the water. Beneath the heat there's little of note, and way too much vanilla throughout. If there was something to the finish, and if the palate had but a fraction of the nose's fruit...but alas, no. The whisky is indeed 'modern', but 'modern' in an American craft whiskey sort of way. Young (which is not a dealbreaker), but oaky. Vanilla and ethyl. I take no joy in writing this.